This 95% home heating system offers a two stage gas valve for greater energy savings and improved comfort over a single stage furnace. Home heating prices (your energy bill) are reduced and year-end tax credits eliminate any price advantage of lower efficiency systems. A 95% efficient, two stage gas furnace offers approx. 22% energy savings over a standard 80% home heating system. 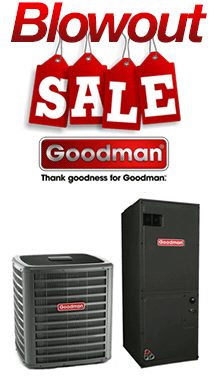 Choose from Fedders, Ruud and Goodman gas furnace price options. Select from upflow, downflow, or horizontal furnace configurations.